Pre-reserved rooms are available at the hotels listed in our online reservation form. Since October is still high season in Split, we encourage you to make your accommodation booking as soon as possible, until the 1st of May 2016. 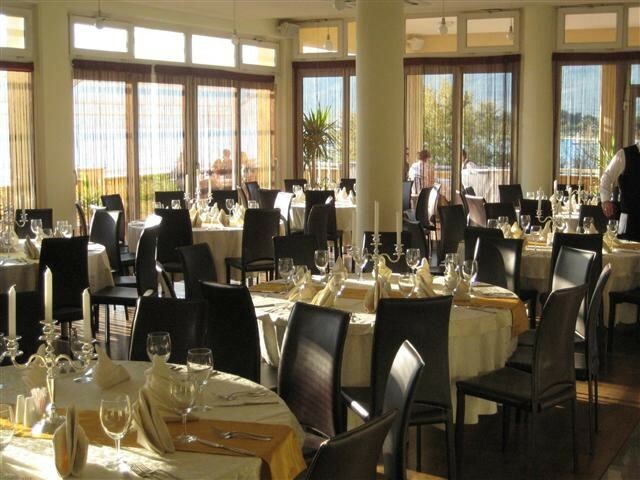 The Conference Dinner will be held at the restaurant “Gusar”. There also will be an award ceremony, where the winner of the WEFTA Award will be announced. About the WEFTA award, go to Organizing and Committees. To sign up for this event, go to online reservation form. Omiš is a small Central Dalmatian town and harbour located 25 km south of Split, situated in the mouth of the Cetina river, surrounded with massive gorges. In the past Omiš was known for the pirates of Omiš whose ships were a centuries-long symbol of retaliation, courage and strength.